Dr Shugar Chitz - Salty Chitz 60mL E-Liquid is one of our favorite lines of E-Liquid. 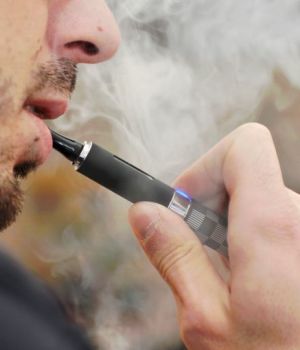 They recently launched their Nicotine Salt line, Dr. Shugar Chitz Salt, which includes four flavors: The Razz Salty Chitz, The Brazz Salty Chitz, The Razz Chilled Salty Chitz, and The Brazz Chilled Salty Chitz. 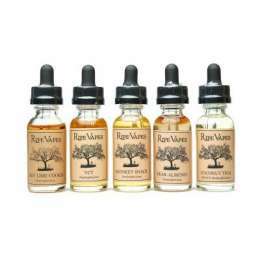 Each flavor is offered in a 45mg nicotine level and produces a wonderful amount of flavor. Grab a bottle or two and try them out! The RAZZ! 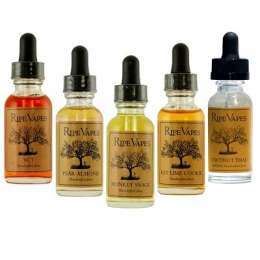 - A Radically Refreshing Raspberry Riddled All Day Vape e-Liquid! An all Day Smooth Raspberry Fruit Vape that May cause your head to explode…temporarily. Batermelon - A Brain Blasting Blue Watermelon All Day Vape e-liquid! It’s a Blue Watermelon flavored e-liquid …A Freaking Blue Watermelon! This one is only for vapers that want to taste the best watermelon flavor this planet can offer. And we are pretty sure other planets too! Batermelon CHILLED! - A Brain Blasting Blue Watermelon All Day Vape e-liquid CHILLED to perfection! It’s a Blue Watermelon flavored e-liquid …A Freaking Blue Watermelon, and it’s chilled…so it’s like 10 times more flavorful! This one is only for vapers that want to taste the best watermelon flavor this planet can offer. And we are pretty sure other planets too! Honey Doo Doo - Honey Doo Doo by Dr. Shugar Chitz is the magical puke of a mystical honeydew monster, smooth, creamy and overwhelmingly fruity with a refreshing flavor that is impossible to put down... Seriously, try to put it down, you can't do it! Extraordinarily smooth and tasty as chitz! Strawbert - A Super Salivating Strawberry All Day Vape e-Liquid! This is what happens when you take all of the tastiest strawberries in the world, throw in a few tropical fruits and blend it with happy thoughts. Hands down the best strawberry e-liquid flavor in the universe!